The desk top looks as if it is a single piece of carved wood resting atop a rounded metal frame. The top features a raised lip so your pencils don’t roll away when you need them most and a cut away shelf offers the classic classroom storage without the years of dried up gum. A classic design expertly made with industrial charm. 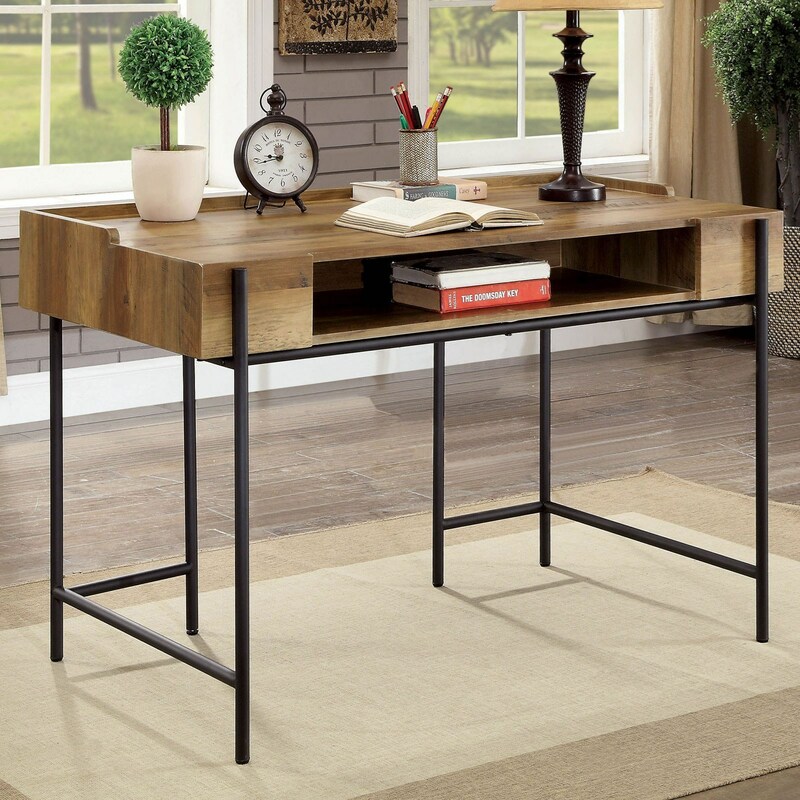 The Maeve Industrial Wood and Metal Desk with Floating Design and Open Shelf by Furniture of America at Furniture Superstore - NM in the Albuquerque, Los Ranchos De Albuquerque, Rio Rancho, Santa Fe, Corrales, NM area. Product availability may vary. Contact us for the most current availability on this product.